Product prices and availability are accurate as of 2019-04-22 05:37:14 UTC and are subject to change. Any price and availability information displayed on http://www.amazon.com/ at the time of purchase will apply to the purchase of this product. 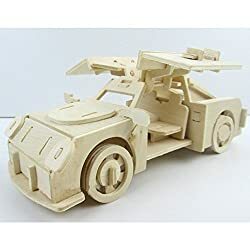 modelcars is pleased to present this MIFX Woodcraft Construction Kit Gift for Children Color Design Educational DIY Toys 3D Wooden Jigsaw Puzzle Assembly Handmade Wooden Model by MIFX. 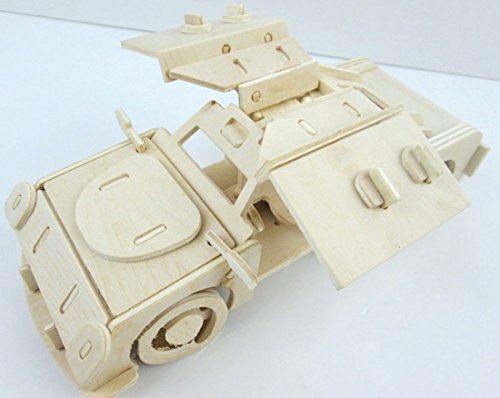 Check out this fantastic MIFX Woodcraft Construction Kit Gift for Children Color Design Educational DIY Toys 3D Wooden Jigsaw Puzzle Assembly Handmade Wooden Model made by MIFX and listed by ModelCars.us. This detailed item is currently available - buy securely and safely through us today. 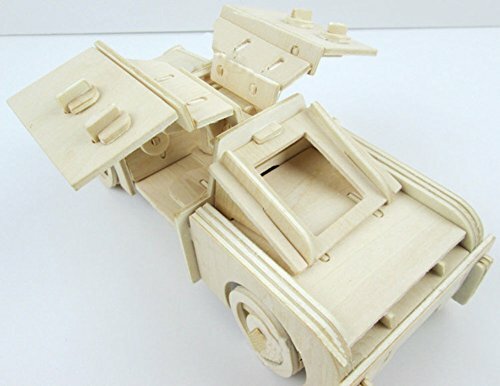 This attractive puzzle, will help you exercise your spatial thinking and hand dexterity while offering hours of fun as you figure out how to put together these pieces of plywood to form a beautiful rolling locomotive model worthy of display on your desk or bookshelf. Carefully push the pieces out of the board with your fingers, sand if necessary, put together by following a hint diagram (a drop of glue might be useful here and there, though not necessary), and the puzzle is assembled! You can stain it, paint it, or leave the wood unfinished, either way it would make an attractive keepsake. Exciting and educational, this puzzle would make a cute gift for anyone: your significant other, Children,friend, parent, or a coworker! 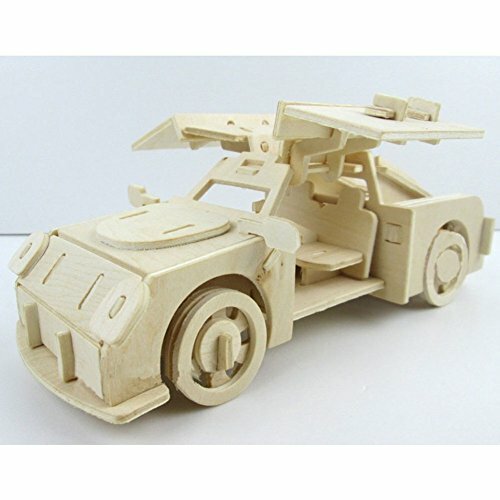 MiFX's Package Include: 1x jigsaw puzzle Assembling Size:18x32x14.5 cm, Manufacturer recommended age: 6 years and up. 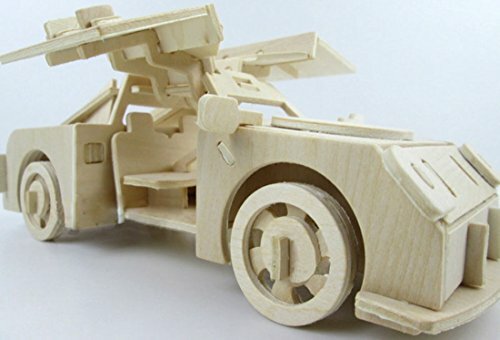 DIY 3D wooden puzzle,Educational,unique and enhancing creativity. Painting Color on Natural wood can stimulate your baby's imagination and hands-on creativity. DIY Toys for enhancing your children's assembly ability, and best gift for children to decorate their bedroom. Enjoy the fun of hand-making with your children.